Schurter and Forster lose overall Cape Epic lead after a disastrous stage 3. Ted King is hosting his own gravel race. Plus, Land Run and Pro XCT results. Welcome to The Dirt, the weekly news round-up on what is happening in the worlds of gravel, mountain biking, and all things rough and dirty. After the Scott-SRAM duo of world and Olympic champion Nino Schurter and his teammate Lars Forster dominated the first three days of the Absa Cape Epic, the tide turned on Wednesday. The race favorites were knocked out of the overall lead by a flat tire in stage 3. Forster, unable to fix his slashed rear tire, had to ride the rim on a descent halfway through the 107km stage. Eventually their backup team caught them and gave Forster a new rear wheel, which is allowed by Cape Epic rules. The duo ended up losing 6:45 to race winners Henrique Avancini and Manuel Fumic (Cannondale). The Cannondale team now leads the overall by 2:41 ahead of Scott-SRAM. On the other hand, the Investec-songo-Specialized duo of Annika Langvad and road world champion Anna van der Breggen played it cool and avoided trouble in stage 3 to win their fourth stage in a row. Their advantage was also boosted by misfortune for rivals Ariane Lüthi and Maja Wloszczowska (Kross-Spur Racing). Lüthi flatted, and they lost nearly 21 minutes on the day. “On the downhill after the Dimension Data Hotspot I flatted,” said Lüthi. “I didn’t even think I had hit anything. Many other times I thought I was in more danger of puncturing so it was quite a weird puncture actually. “We fixed it pretty quickly but then thought it safer to change the wheel. At the tech zone we changed the wheel, but we are sharing with our [male teammates] who have the same wheels. So we took a wheel that they had already changed and it already had a plug in it. The Investec-songo-Specialized now holds a staggering 23:44 advantage over second place team Summit Fin (Candice Lill and Adelheid Morath) in the overall. Four stages remain in the eight-day South-African mountain bike stage race. Two-time Dirty Kanza 200 winner Ted King is hosting a gravel event of his own in Richmond, Vermont on August 4. The former WorldTour road racer said he wants to give back to the growing gravel community by showcasing some of his favorite roads near his home in New England with his Rooted Vermont event. The race will offer two distances: 45 miles with 3,500 feet of climbing and 85 miles with 8,000 feet of climbing. Everyone will finish at Cochran’s Ski Area where there will be food, beer, and Vermont’s famous maple creemees (soft serve ice cream). Registration opens April 1. Based on the popularity of the Vermont Overland gravel race and Deerfield Dirt Road Randonnée (D2R2) in Massachusetts, the gravel scene in the northeast is going strong. 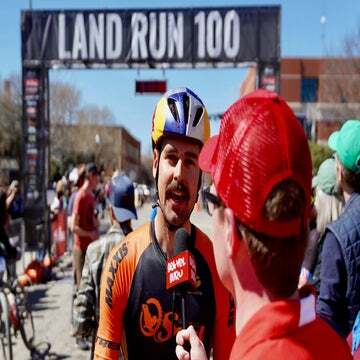 Speaking of King, he was narrowly out-sprinted by pro mountain biker Payson McElveen at the end of the 100-mile Land Run 100 gravel race Saturday in Stillwater, Oklahoma. Drew Dillman was third out of the three-man group. That made it a diverse podium with an ex-pro roadie, a mountain biker, and a top UCI cyclocross racer on the steps. In the women’s race, Nina Laughlin crushed the women’s race in a record-breaking time of 5:32:30. Kae Takeshita finished second, 7:07 behind, narrowly out-sprinting Amy Charity, who is one of the organizers of the new SBT GRVL race. Got some news you’d like to share in The Dirt? I’d love to hear from you. 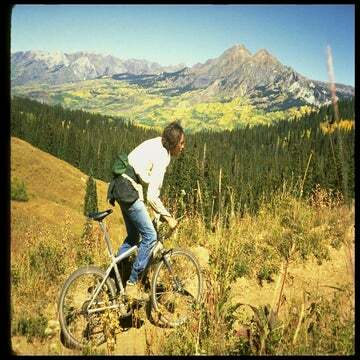 Please email me your news and updates on all things gravel and mountain biking.